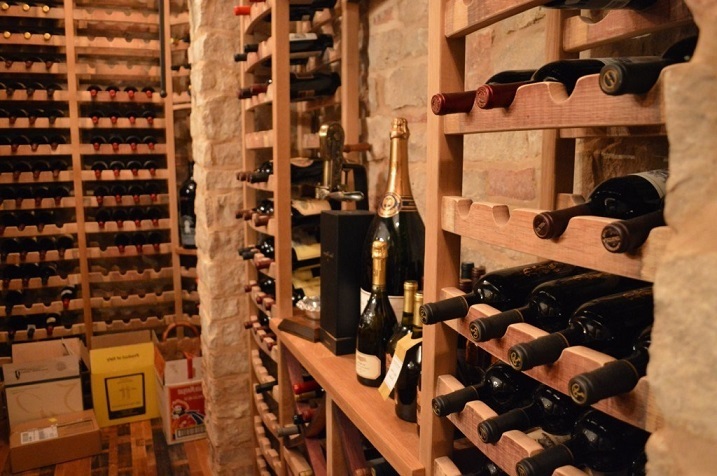 Custom wine cellars in Chicago, Illinois are the most ideal storage places for wines. 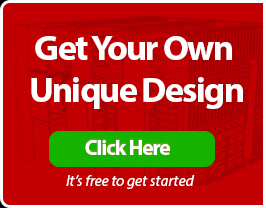 A well-designed and well-built residential wine cellar with a quality wine cellar refrigeration unit installed can provide the ideal conditions for wines to age properly. Baroque Designs LCC, a wine cellar designer and builder in Chicago, teams up with US Cellar Systems to create the best wine storage rooms in Chicago. A residential custom wine cellar was designed and built in Long Grove, Chicago, Illinois, by Baroque Designs LCC. 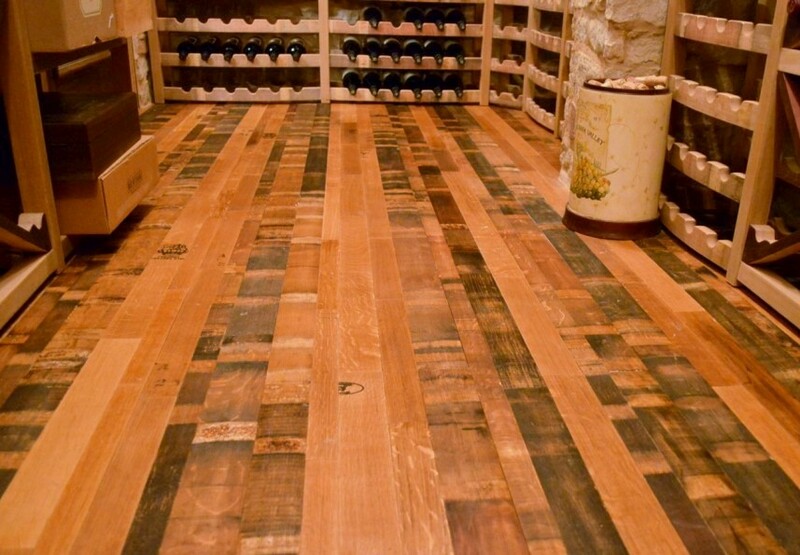 This wine cellar can accommodate more than 1000 wine bottles. It is unique because of its medieval and classic design. A billiard table room in the client’s home was renovated and converted in order to construct the custom wine cellar. There was a fireplace in this room, which was sealed up, and insulation and a vapor barrier were installed. Insulation and vapor barriers are very important when building a custom wine cellar in Illinois. These help make sure that the temperature and humidity inside the wine storage room do not fluctuate constantly. No matter how good a wine cellar refrigeration unit is, if insulation and a vapor barrier are not installed, or are installed poorly, the wines will still end up damaged. 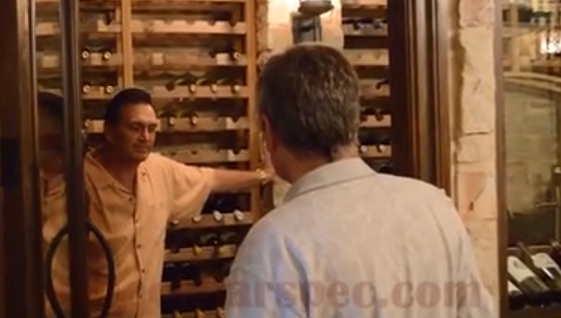 Home wine cellars in Chicago should be designed to reflect the owner’s personality and style. As for this Wine cellar project in Long Grove, the client wanted a classic look with a medieval ambiance. Baroque Designs LCC constructed handmade custom wine racks made from reclaimed barn wood to achieve this look. The wine racks had individual storage and a diamond bin for bulk storage. The four niches were 2’ high and 6” deep in the corners, to showcase magnums. To complete the medieval appearance of this wine cellar, stone work was done up to the 10’ ceiling and a suit of armor was added to the décor. Moreover, a custom wine cellar door imported from Europe was purpose-built for this medieval design wine storage room. 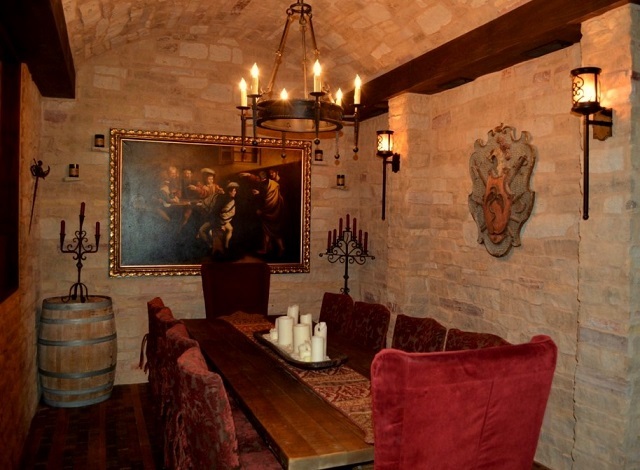 A large classic style wine tasting room with a table and chairs also enhanced the medieval appeal of this residential wine cellar in Chicago, Illinois. An RM8600 TE Ductless Split Type Refrigeration Unit was installed in this beautifully designed residential wine cellar in Chicago. A licensed HVAC technician installed the cooling unit. The wine cellar refrigeration system and the professional installer were from US Cellar Systems, a leading wine cellar refrigeration company.